Curviloft, like my other plugins, is hosted on Sketchucation. Sketchucation is a Community site entirely dedicated to Sketchup. 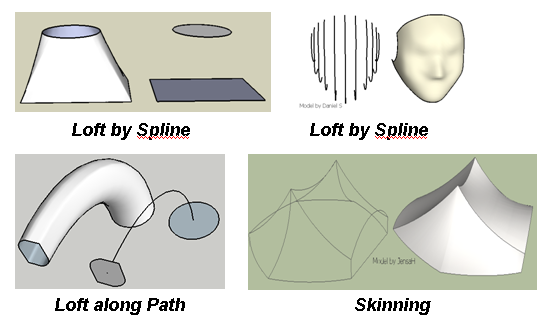 It includes an ExtensionStore of .Dedicated to Loft and Skinning, that is, generation of surfaces from contours. Version .a for bug fixing. Usage Tools > Fredo Collection > .